SUMMERS: Peak 90 degree [32C] hours are relatively few because of sea breezes and thundershowers in the afternoon. WINTERS: mild with occasional intrusion of cold air. Long periods of cloudiness and rain are infrequent and there is no significant source of air pollution in the area. 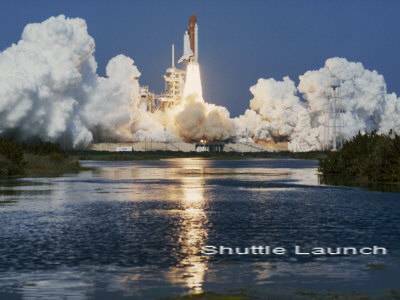 Beautiful view of the shuttle launch from your home! For many FLYING DESTINATIONS, please talk to your neighbors or join the Flying Club!